MAFP legislative representative Dave Renner, CAE, provides an update on what’s happening in the Minnesota Legislature, including movement around direct primary care, medical and recreational cannabis, tobacco cessation services, mandated reporting, health equity and more. Legislation (SF 277) to clarify that direct primary care (DPC)—providing primary care services for a set monthly fee—should not be regulated as insurance passed the Minnesota Senate Commerce Committee and is awaiting action on the Senate floor. This legislation is supported by the MAFP, in line with resolutions from the House of Delegates and work by the AAFP. SF 277 also creates several consumer protection requirements for DPC related to length of contracts, the list of covered services and assurances that patients will not be discriminated against. A proposal to add Minnesota to the growing list of states that have legalized marijuana for recreational use was defeated in the Minnesota Senate Judiciary Committee. The bill, SF 619, would have allowed for the purchase, possession and cultivation of marijuana for adults, ages 21 and older, similar to what is allowed in 10 states and the District of Columbia. The House bill has not been scheduled for a hearing, and further action on recreational cannabis legislation is unlikely through the remainder of this session. The MAFP DOES NOT have a position on the legalization of recreational cannabis, but several physicians have raised public health concerns about its use. Legislation to modify Minnesota’s medical cannabis program has cleared committees in the Minnesota House and Senate. The bill’s intent is to make modest changes to the program to ease its use by patients. Among the included provisions are amendments to allow the use of medical cannabis in limited cases in schools and doubling to 16 the number of sites at which medical cannabis can be purchased. Legislation to fund tobacco and nicotine cessation services was heard in the Minnesota Senate Health and Human Services Finance and Policy Committee. The bill, SF 461, would establish state funding for a range of tobacco and nicotine cessation services. The funds are necessary to replace the services currently provided by Clearway Minnesota’s QuitPlan, as its funding is soon to sunset. The Minnesota House companion bill has cleared several committees and is likely to be considered in the House Health and Human Services Finance Committee in the coming days. A bill to amend state law governing a mandated reporter’s obligation to report the use of controlled substances by pregnant women, HF 1892, passed the Minnesota House Health and Human Services Policy Committee and was referred to the House floor. Current law includes an exception to mandated reporter requirements for physicians providing prenatal care to women when the woman may be abusing alcohol or marijuana. Under the legislation, that exception would be expanded to include all controlled substances. Advocacy for the legislation has been led by the Minnesota Chapter of the American College of Obstetricians and Gynecologists, who have argued that the mandated reporting requirement leads some women to forgo critical prenatal care. 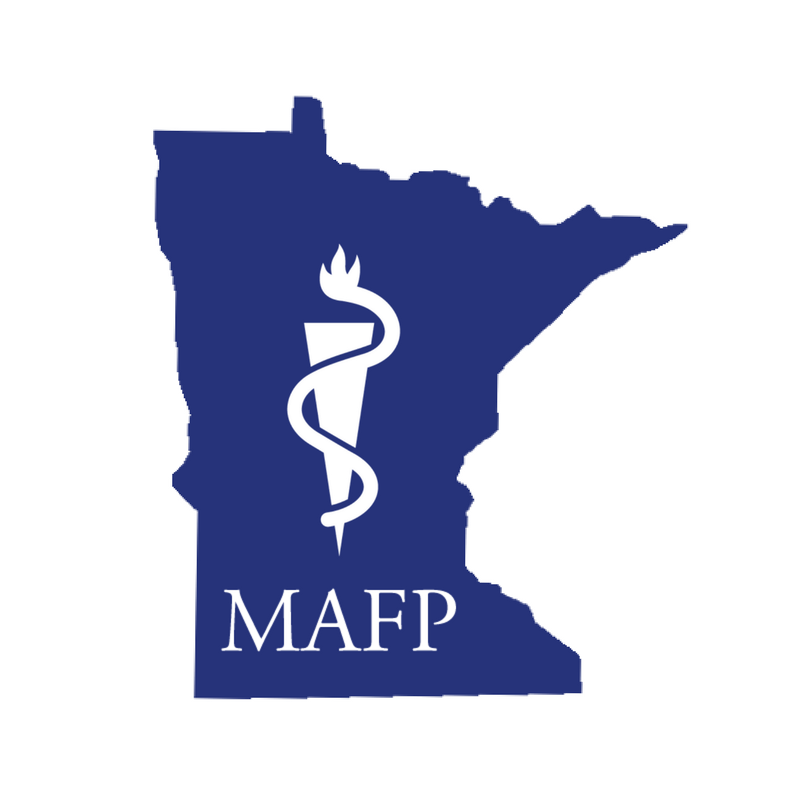 Legislation (SF 2352) to preclude health plans from requiring medical specialty’s maintenance of certification (MOC) by physicians as a requirement for payment or for access to the plan’s network cleared the Minnesota Senate Health and Human Services Finance and Policy Committee. SF 2352 further prohibits hospitals, ambulatory surgery centers and other health care facilities from differentiating between physicians based on the physician maintaining certification by a national specialty organization. The legislation was amended in committee to allow hospitals and other healthcare settings to require licensure for initial employment and one renewal, though subsequent MOC testing would not be required as a condition of the physician’s continued employment. Legislation (HF 637/SF 583) to amend how background check data is used in the process of licensing physicians has cleared several committees in recent weeks and awaits action on the Minnesota House and Senate floors. Minnesota adopted legislation to enter the Interstate Medical Licensure Compact during the 2015 legislative session, though federal law enforcement agencies insisted that Minnesota’s underlying statutes governing background checks for the purpose of physician licensure were not compliant with the Compact. These bills would make Minnesota fully eligible to participate in the Compact, which is intended to ease the licensure process for physicians who are licensed to practice in multiple states. Legislation (HF 2171) to establish a working group to study links between health disparities and educational achievement cleared two policy committees in the Minnesota House and await action in the House Health and Human Services Finance Committee. Legislation (SF 761) to continue the reinsurance program beyond the intended two years—to reduce the premiums for many consumers who purchase health insurance products in the individual market—cleared the full Minnesota Senate. SF 761 extends a program that began in 2017. Under the bill, state and federal dollars are used to help health insurers cover the costs associated with high-cost patients to reduce premiums for all those purchasing coverage in the individual market. The House version of the legislation has cleared several committees though the full body has not yet considered it.